Tylenol is the most popular painkiller containing acetaminophen. A new government report recommends stronger warnings and dose limits on medications such as Tylenol that contain acetaminophen. The recommendation, by the Food and Drug Administration, covers both prescription doses and over-the-counter medication containing the popular painkiller. 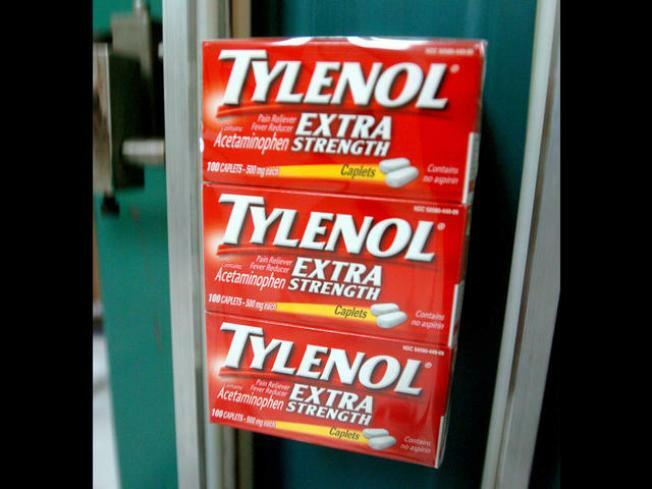 Doctors warn too much acetaminophen can cause liver damage and, in extreme cases, death. "There is extensive evidence that hepatotoxicity (liver toxicity) caused by acetaminophen use may result from lack of consumer awareness that acetaminophen can cause severe liver injury," the working-group report said. The outside advisers will meet in June to discuss the report's findings. The recommendations include enhanced public information efforts, stronger labels warning of liver side effects, and dose limitations. Medical experts said people should pay attention to dosage limits and avoid mixing medicines without consulting a doctor or pharmacist. Under new recommended dosages, six extra-strength Tylenol tablets per day would still be permitted. "The main thing is that anything, really, is toxic. It just depends on the dose,” said Dr. Robert Gullinese, an emergency room physician at Texas Health Harris Methodist Hospital Fort Worth. "It's not Tylenol itself." "Consumers may not be aware that acetaminophen is present in many over-the-counter combination products, so they may unknowingly exceed the recommended acetaminophen dose if they take more than one acetaminophen product without knowing that both contain acetaminophen," the report said. The recommendations also call for limiting the maximum adult daily dose to no more than 3,250 milligrams. The current recommendation stands at 4,000 milligrams per day. Other recommendations include limiting tablet strength for immediate release formulations and limiting options in liquid formulations for children.